Aw, don’t you just love an inky ending? 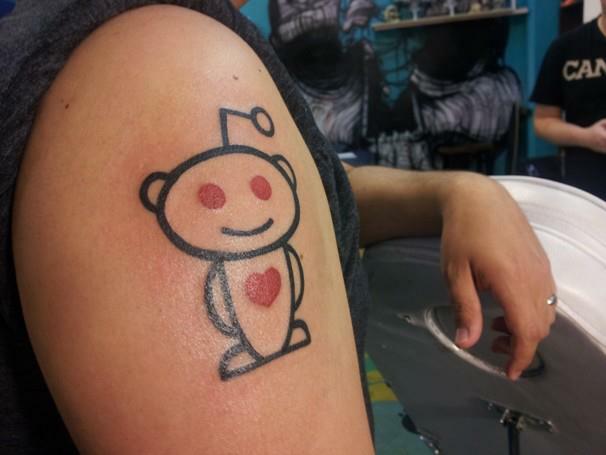 Last week, Reddit was back in the news for its habit of doing nice things for people in need. The site that hosts a subreddit promoting “random acts of pizza” occasionally embarks on slightly more ambitious charitable endeavors, and the case of critically ill toddler Lucas Gonzalez is an excellent example of the community’s ability to do good. The tot’s father posted to Reddit about his son’s condition- called Hyper IGM- that left him vulnerable to infection and in need of an expensive bone marrow transplant. 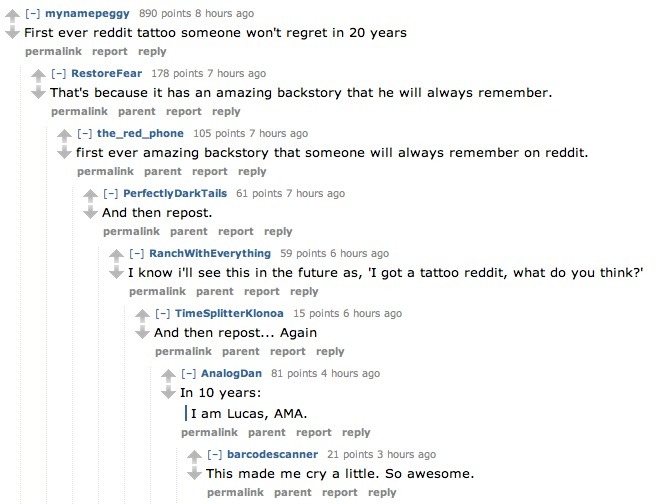 Within 12 hours, tens of thousands of dollars had been donated, and Lucas’ very grateful father promised to honor the site and the generosity of Redditors with a tattoo of the Reddit alien.